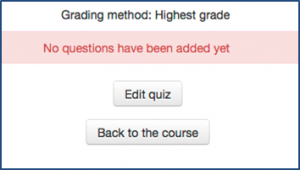 The Question bank allows you to organise all quiz questions used on your course. 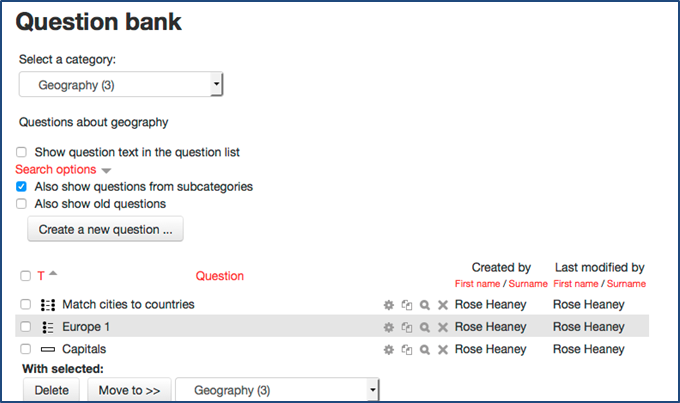 Questions can be added directly to the Question bank or while building a quiz (see Add a Quiz). 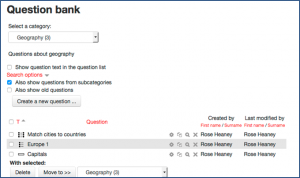 Questions in the Question bank can be used across multiple quizzes. In ADMINISTRATION, select Question bank/Questions. 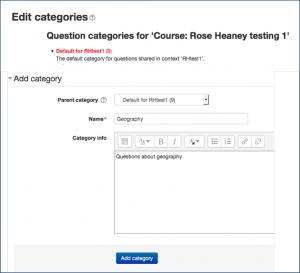 Then select Create a new question and follow the guidance in Question types for Moodle quizzes. When you click on an empty or partially finished quiz, you will be prompted to Edit quiz as below. 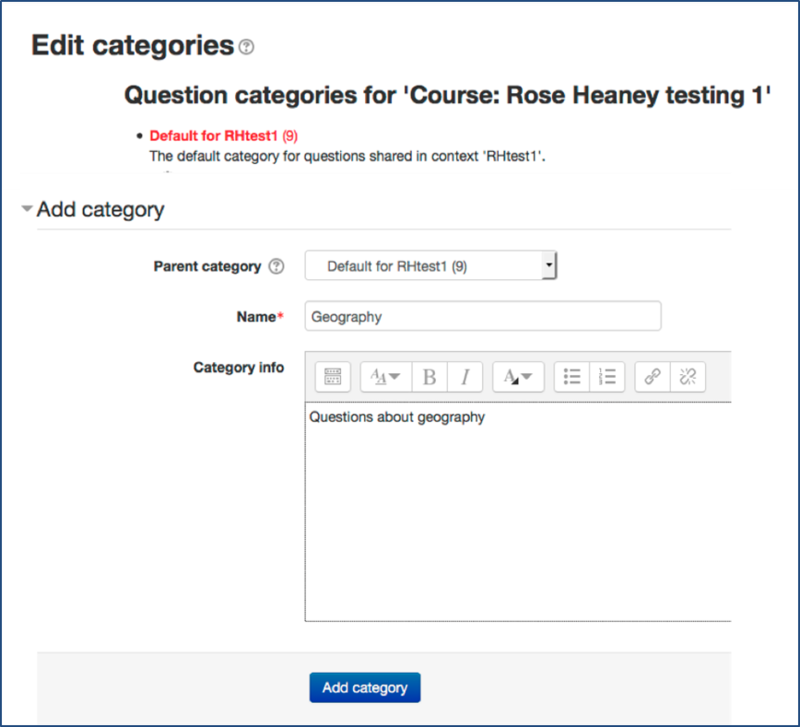 You then have the option to Add a question or SHOW QUESTION BANK CONTENTS. Click SHOW. 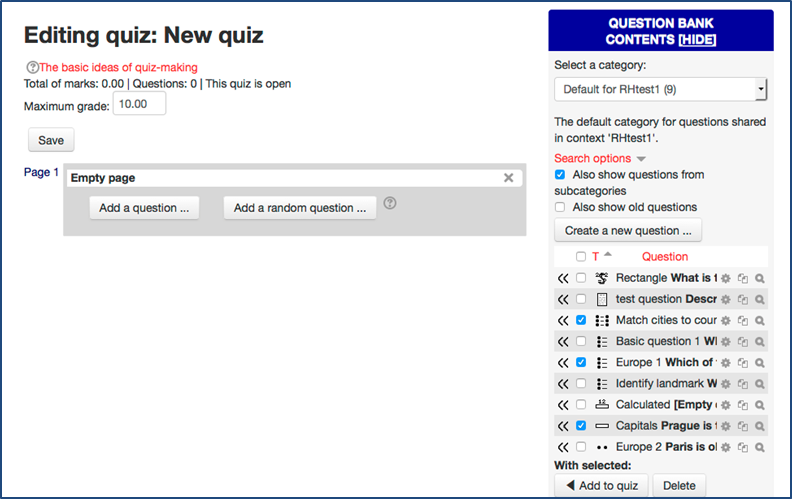 Select (tick) the required question(s) from the Question bank and click Add to quiz. 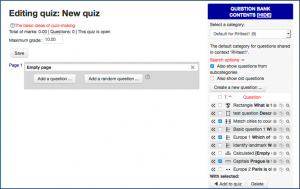 The questions appear in the quiz, from where they can be reordered, edited or deleted using the icons on the right. When you have finished with the Question bank, click HIDE. Remember to Save as you proceed. You can subdivide questions on a course into categories to match the different quiz topics. To start with, there is one default category for the course. 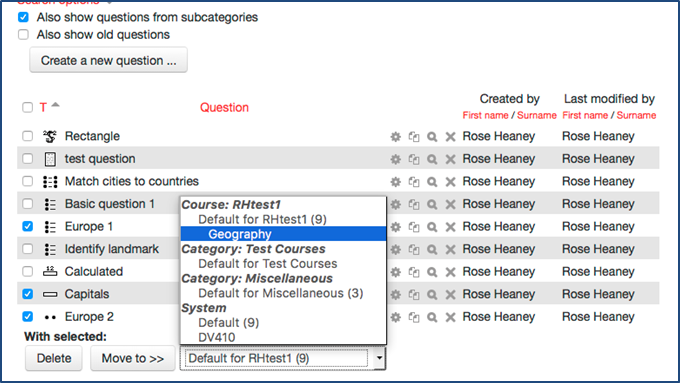 To add more, select Question bank/Categories. This will display any existing categories and provide the option to add more in Add category. Select a Parent category if it is not the default category. Type a Name and provide Category info if required. Then Add category. The new subcategory now appears under its parent. Click Question bank / Questions. The questions appear in their new category. To move more questions, repeat the process.